The Library invites you to the Ramp Gallery’s opening reception for Creating with Light and Time: Explorations in Non-Narrative Video. 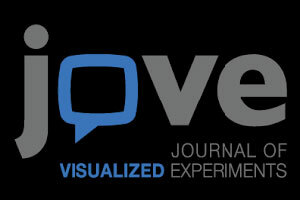 We’ll be showing non-narrative videos created in Erin Johnson’s digital media class, along with stills from the videos. 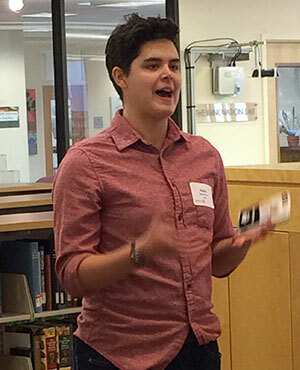 The show’s opening will include the work of six students. Curated by Blanche Froelich, ’19. Open to the public. Refreshments will be served. You’ll find The Ramp Gallery in the Hawthorne-Longfellow Library, basement level. Improvements are coming to Hawthorne-Longfellow and Hatch Science Library! The Research Desk will be relocated near the entrance to the Research Lab, on the south side of the 1st floor. The move, along with new and configured furniture, will facilitate interactions between liaisons and library users. Soft seating will be installed in the space currently occupied by the existing desk. A new facility, the College Test Center, will be created on the south side of the 2nd floor. 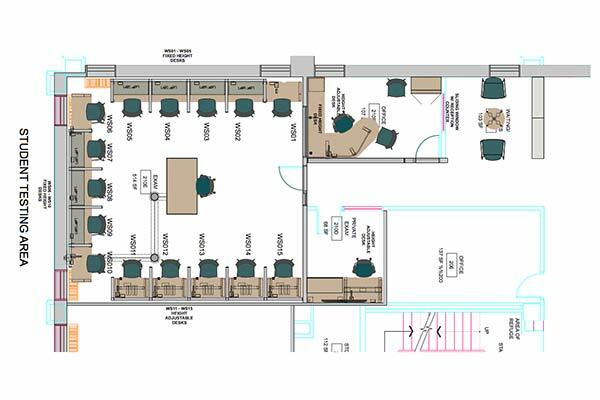 The Center will provide a controlled environment designed to support students who have approved accommodations for disabilities or require other special arrangements for test taking. When not scheduled for exams—during most evenings and weekends—the space will be available to the student community for quiet study. Overseen by Lesley Levy, Director of Student Accessibility, the Test Center will not only meet a long-standing need at the College but will be a welcome addition to H-L’s student-centered resources. A Faculty Study Commons will be created adjacent to the current Faculty Research Room on the north side of the 2nd floor. 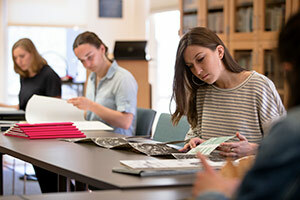 This new space, which will replace existing faculty studies, will provide carrels, soft seating, and bookshelves to support individual study and research. The adjacent Research Room, which will be connected directly to the Study Commons, will be newly furnished as a collaborative space. The 2nd floor exhibit gallery will be reconfigured with new, state-of-the-art exhibit cases installed in the floor’s central area. In place of the existing cases, soft seating will be provided around the two interior light wells. New carpet will be installed throughout the 2nd and 3rd floors. The former reference desk and adjacent shelving will be removed and replaced with soft seating. New carpet will be installed in the circular stairwell that connects the ground through 2nd floors of the library. In summer 2017, Quyen Ha and I worked together as part of a Gibbons Fellowship that Quyen won. I’ve long been interested in popular discourse on China in 18th century German language newspapers and journals — unlike established then-and now-famous literary texts — the popular often remains anonymous, is repeated, stolen, translated or republished without attribution of source. (There was no copyright law in the 18th century!) So I had a hunch that the journals may help us explain how the image of China in German lands morphed from one that was largely positive and respectful, in part because of China being perceived as an ancient harbor of philosophy, to one that turned increasingly negative, irrational and into sinophobia. Quyen wrote a program that assisted with text recognition, making old German print legible, and “mined the data,” leading to sets and patterns waiting to be explored. 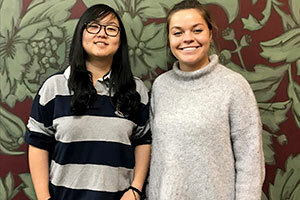 She applied topic modeling and created data sets that I not only used in a seminar on 18th century German literature but that we are now interpreting: and the patterns we find reveal a much more complicated image of China than we expected. 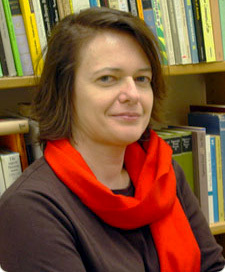 Sabina Hartnett brings her far-ranging expertise in digital and computational studies (DCS) to her honors project in German. Her topic is very timely and revolves around the public discourse on refugees in Germany today, but also in historical perspectives. Here, the historical data serve to illustrate how concepts and words became engrained in the German language, were eclipsed or promoted by massive dictionary projects of the 19th century and resurrected, popularized, and emotionally invested in recent years. She shows in fascinating ways how data may help us understand how people think and talk and become politically enshrined and invested in closed-off ways of thinking. 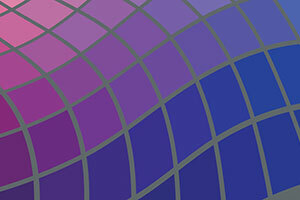 In both projects, digital and computational studies methods help us to read in new ways and open up to debate long-standing truisms. And in the future, we look forward to applying DCS methods to the new database, German Literature Collections, for which the Library purchased the text-minable file. 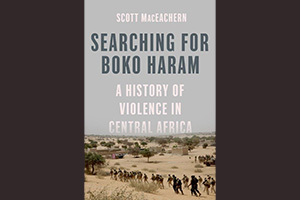 Please join us as Scott MacEachern, professor of anthropology, discusses his new book, Searching for Boko Haram: A History of Violence in Central Africa. 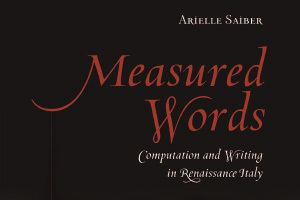 This is the second event this semester in the Library’s book launch series. Watch lab experiments in Biology, Neuroscience, General Lab, and Cell & Molecular Biology.